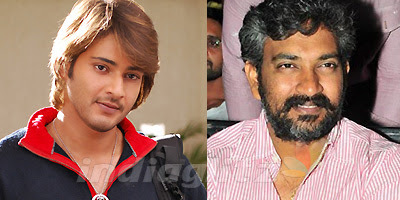 Blockbuster director S S Rajamouli might work with Mahesh Babu and this is what excitedly conveys to his fans! Saying that he met Mahesh Babu after 2 years, Rajamouli says he has come to a strategic agreement of working with Mahesh. Though it is still a seed stage, the project will take a lot of time take shape. One thing that is assured is, the 'Magadheera' director will definitely work with the 'Pokiri' star. As of now Mahesh Babu is busy finishing his formalities for his movie with Trivikram. He will start his next movie with Seenu Vytla and also work for a movie with Sukumar besides shooting simultaneously for Surender Reddy's 'Mr.Perfect'. All you Mahesh fans, wait for the magic to work when he starts working with blockbuster director Rajamouli!